People asked 1) How long was Jesus on the Cross? 2) How long was Jesus in the Tomb? and 3) Was Jesus clothed or naked during the crucifixion? I have written about all three of those topics HERE. What was Jerusalem like during the Passion? What was the population of Jerusalem? Who were the enemies of Jesus? What was the political mood? 42:27 – It doesn’t seem like there would have been enough accommodations for that many people in the city. How was the number of 180,000 people reached? 45:57 – The Passion movie shows damage being done to the temple when Jesus died. Is there evidence for this? 47:44 – Was the Seder meal instituted before or after Jesus? 50:13 – In the Passion that Mel Gibson directed, he portrays Satan as lurking around. Did Satan know that Jesus was going to die for our sins or was he unaware? 12:30 – If every bishop and priest is a successor of Peter, why is the bishop of Rome the sole successor of Peter? 15:34 – Our pope was talking about the Mark of the Beast. How are we meant to understand this? 22:34 – How do you justify Frances being called Pope when the Pope before him is still alive? 35:37 – I want to clarify the orthodox position on the bishops. Also, if Christ gave Peter the keys of the Church, why isn’t he the Pope of Antioch? 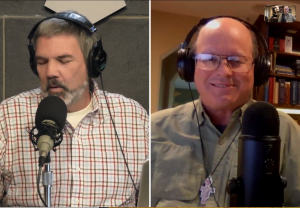 40:20 – Is there such a thing as an anti-pope? 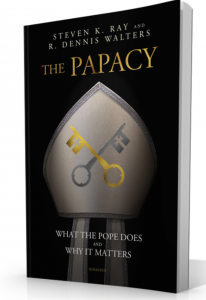 45:08 – Did the popes and bishops marry at first? If so, why did they stop doing that? 49:12 – Why do we call the Pope the Holy Father when the bible says to call no man father? 02:50 – Where did Protestants wanting to convert Catholics come from? 09:03 – My daughter-in-law considers herself to be a humanist and doesn’t believe in God. She once said, “I guess I’m going to hell because I haven’t been baptized.” What would you say to her? 18:05 – What is the role of Catholic schools in evangelization? 31:51 – Apologists, what is the toughest question you’ve ever had? 34:57 – Protestants ask me what I think of the Pope because they think he’s terribly political. What would you say to them? 42:13 – How can I help parents at my parish school who are detached from the faith? 46:00 – What is the best way to argue religion with someone who professes to be non-denominational? 50:00 – I am very confused about the concept of prayer. If it is a conversation, why are there not always answers back? What is the purpose of repetitive prayers? What is the difference between prayer and meditation? Is there a difference between 1 person praying and 10 million people praying? Questions I Answered On Catholic Answers Live – got a bit feisty at times!